When will be Blancpain GT Series next episode air date? Is Blancpain GT Series renewed or cancelled? Where to countdown Blancpain GT Series air dates? Is Blancpain GT Series worth watching? The coverage of the Blancpain GT Series will consist of same day and live coverage of the Blancpain Sprint Series races, with a subsequent repeat airing. The Blancpain Endurance Series (including the Total 24 hours of Spa) will also be covered through same day one hour highlight programmes. The Blancpain GT Series is a sports car racing series organized by the Stéphane Ratel Organisation (SRO) with the approval of the Fédération Internationale de l'Automobile (FIA). The championship is mostly concentrated in Europe, but will visit other continents including Asia. The series continues the sprint format for GT-cars carried out by the defunct FIA GT1 World Championship. 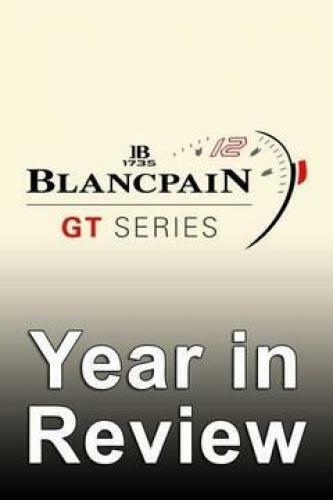 Year in review for the Blancpain GT Endurance car racing season. Blancpain GT Series next episode air date provides TVMaze for you. EpisoDate.com is your TV show guide to Countdown Blancpain GT Series Episode Air Dates and to stay in touch with Blancpain GT Series next episode Air Date and your others favorite TV Shows. Add the shows you like to a "Watchlist" and let the site take it from there.